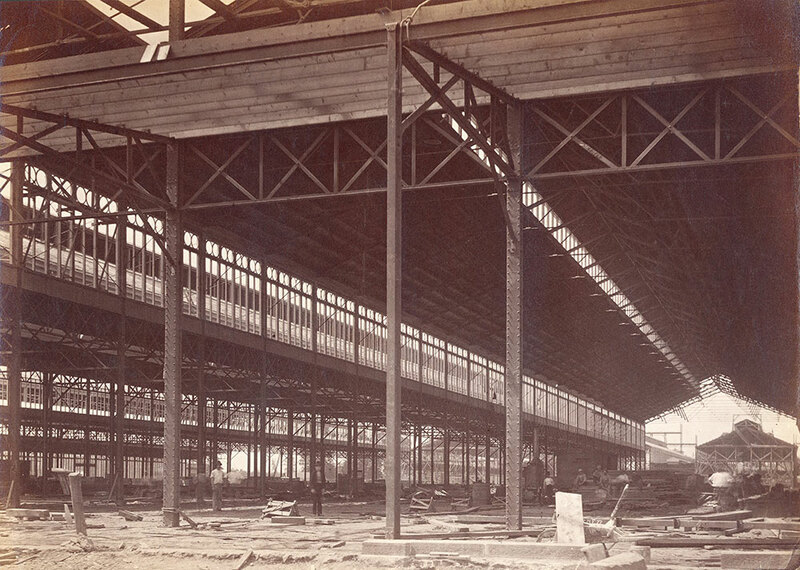 Notes: Interior of Main Exhibition Building during construction. Frame is complete and roof is on. Men standing inside and piles of lumber strewn about.